Theraposture, an ethical specialist in assistive furniture, has begun a campaign to protect vulnerable consumers from misleading pricing and high-pressure sales techniques when purchasing adjustable beds. Theraposture has been a proven and family-run manufacturer of quality adjustable beds, chairs and care cots for over 35 years. 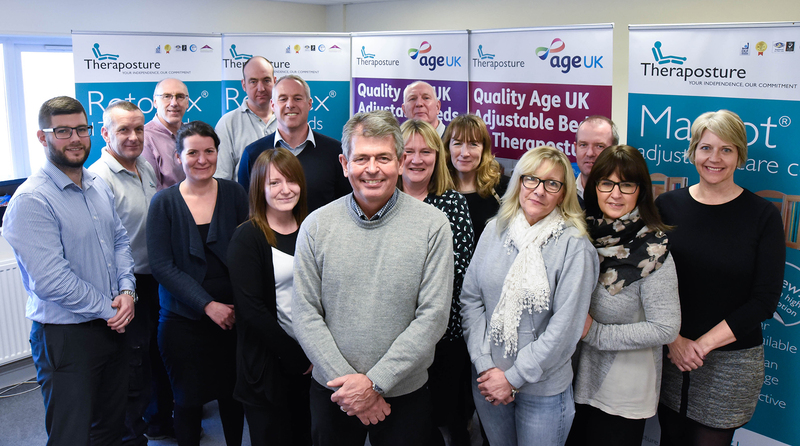 It is highly regarded by end users, Occupational Therapists and charities (such as Age UK and Parkinson’s UK), as it provides a trusted assessment-led service focused on client needs. Theraposture’s latest educational campaign aims to help consumers avoid the many price-related pitfalls associated with purchasing adjustable beds from unethical suppliers. Unfortunately, many direct sellers employ inappropriate techniques to maximise profit with limited consideration of personal mobility needs. Commonly this involves unclear, misleading or artificially lowered prices with a view to enticing customers into booking a home visit. A commission-based salesman then delivers a high-pressured sales pitch determined to sell products in an opportunistic way, often at unrealistically high prices. Theraposture firmly believe there is no reason why accurate guide prices cannot be given up front, even for bespoke items – hence its latest initiative to encourage clear pricing across the industry. Without genuine price transparency on the telephone, internet or within ads and literature, unscrupulous salesmen have the opportunity to manipulate figures to their advantage resulting in a poor deal for consumers. Even when inflated costs are communicated during a home visit, particular rogue traders will use a technique called ‘price conditioning’. This involves the trick of ‘phoning their boss’ to achieve a ‘that day only deal’. In addition, advertised prices may hide extras and not include reliable warranties or caring after sales support. Ambiguous refund and return policies are also commonplace especially if a product is deemed ‘bespoke’. Countless vulnerable individuals across the UK are being taken advantage of by unprincipled companies primarily focused on profit. All unethical sales techniques need to be irradiated so that the well-being, independence and safety of customers are protected – hence Theraposture’s fair selling campaign.